Descending a paved road or kalderimi from Omalos towards the valley of Agia Irini. This path is known as the Royal Road (Βασιλική Στράτα). 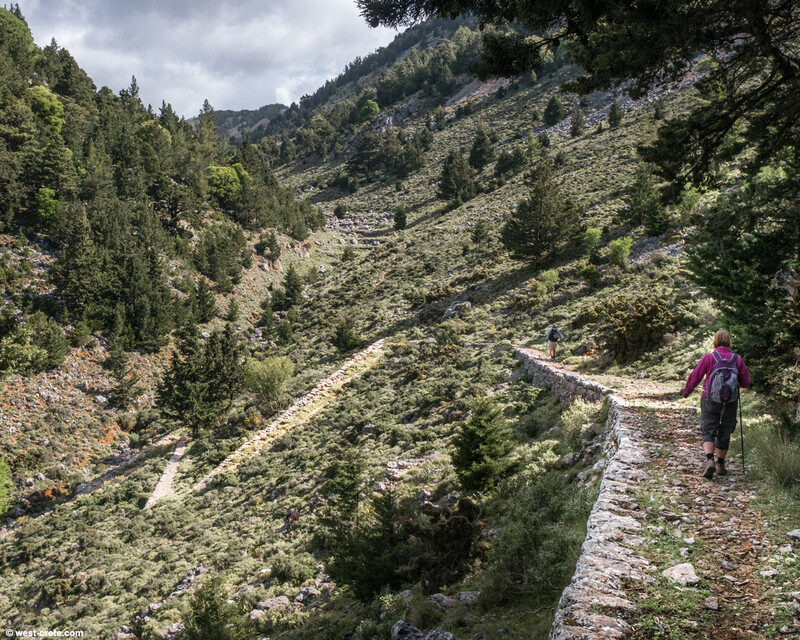 You can either follow it all the way to the village of Agia Irini or you can veer off towards the South and descend more steeply through the small gorge of Figou which connects to the gorge of Agia Irini.